offering the prayers. Below links are given to download this application. 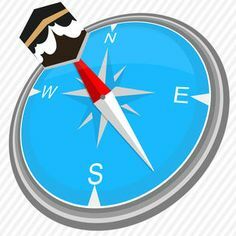 Qibla Finder: this application finds the correct direction of the Qibla and also finds the distance of the Qibla from your existence location. Salat Timing: Salat Timing feature is also provided on this application, Timing of the prayers will show you according to the Islamic Standard timings. Alarm Setting: this application brings the features of alarm; alarm helps in notifying you about the times of the prayer. Alarm is in the form of Adhan, different Reciters are provided in this application for Adhan Alarm. Could you elaborate what is "Islamic Standard Timings". Which algorithm is the app using to pool in the salah timings, especially for the higher latitude areas? Ok, I had this app installed on my phone already. I just checked the settings. It does offer different options. For salah timing, the default is MWL which the Muslim World League. Their criteria is (Fajr Twilight = 18 Degrees, Isha Twilight = 17 Degrees). I would ask further question of how do they calculate this for 49 degree above, since the astronomical twilight does not fade for 2-3 months after this latitude. InshAllah I will keep an eye on it and inform later on if the calculations are reasonable or skewed. The accurate Salat Timings in Lahore are just a click away where you can find Current Prayer Timings in Lahore. Whoever wants to get prayer timings alerts on their smartphone, download this Prayer Times mobile app. It has a lot of features in which some are Azan alerts, Qibla locator, Hijri calendar (Lunar date), monthly prayer timetable.